Language and dementia. Why are we making such poor progress? Andy Tysoe tweeted this only this morning. The sheer number of the ‘breakthroughs’ in dementia treatments has been breathtaking in the last few years, particularly since 2012. This of course is a highly manipulative agenda. The aim of this propaganda is to convince you that progress is being made in dementia research, and that you should continue to fund it. The truth is – the vast majority of the breakthroughs are useless. Nevertheless, we are where we are. Social care funding has not been ringfenced in England since 2010. You are not going to get any stories about this on a frequent basis. English dementia policy needs an infrastructure for coherent integrated person-centred care, with a trained workforce, and care pathways. One large charity pumping out ‘Friends’ is not enough. The same charity has decided to campaign on #FixDementiaCare with cheap tacky photoshoots from MPs, having been ineffective on the issue in the last few years. One should legitimately be asking for stronger clinical leadership this being the case. The English dementia strategy expired five years after 2009 – it is now 2016. Language sets the political agenda everywhere. Even words such as ‘engagement’ and ‘involvement’ compound the impression of ‘does he take sugar?’ All too often people with dementia have been speaking in public on the subject of being engaged in events on dementia, rather than real issues in dementia policy – such as the need for funding in social care. Organisers of events invite people with dementia at the last minute, with this act of tokenism being highly insulting in effect. Working groups if the participation at worst is illusory might add a further layer of marketing, and often appear like a nice little earner, potentially, for the bureaucrats organising them. But the real effect is far more damaging – this friendliness has been profoundly disempowering, and highly obstructive. Often the purported ‘co-production’ and the ‘patient voice’ are not genuine at all – the relationship defined by Nesta in 2009 is defined by three simple words “equal and reciprocal”, often forgotten, and becomes a trite trivial piece of marketing, sadly, instead. Compare this to a whole book on the subject written by Kate Swaffer, “What the hell has happened to my brain?”. I have been dumbfounded and truly enormously saddened by those who claim to be gurus in engagement and involvement being so silent on Kate’s book. But this for me speaks volumes. Kate, not only living with dementia, is about to embark on a Ph.D. Whilst medics go all Captain Cavemen mode about the number of diagnoses (of whatever quality) they’re making, Kate is demonstrating what should be happening. That people living with dementia should be given every single resource to help them live ‘beyond the diagnosis’ as Kate calls it, I feel strongly, is an essential imperative in both domestic and international policy in dementia. This change to a rights-based approach, viewing dementia as a disability, has totally changed the mood music. There has been much discussion of the word ‘dementia’ itself is stigmatising. Kate Swaffer, advocate living well with dementia, argues in the webinar below that dementia is probably where cancer was at many years ago when Kate used to be a nurse, in terms of stigma. But would a rose by any other name smell as sweet? 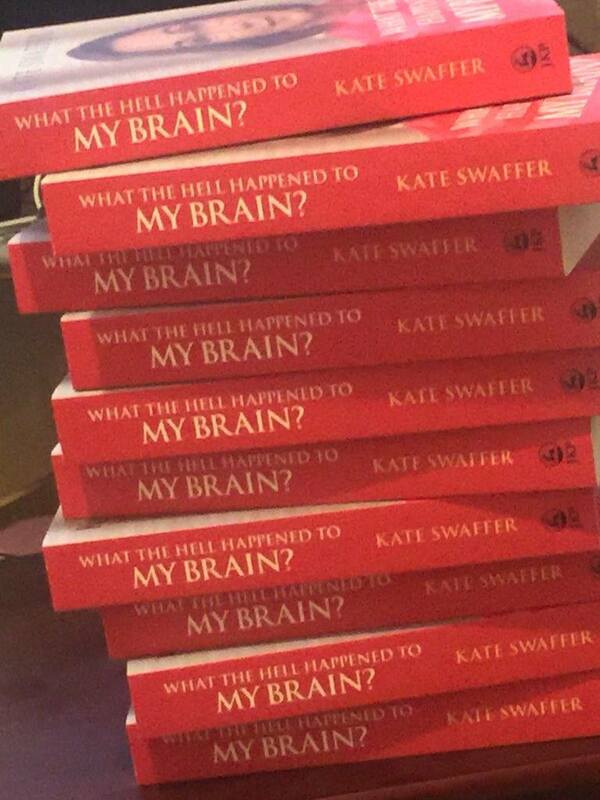 I myself have written about the nature of the “war against dementia“. But the war theme does have major problems. Dr Richard Taylor is another leading member of the ‘Dementia Alliance International’, living well with dementia. ‘Let’s ignore the people who are dying in this war against dementia until the war is won when we can build another country” was Richard’s comment. Richard, I feel, is absolutely right to think about what the nature of the world we are striving to head towards is. Is this a world where there is nobody living with dementia? Richard points out there are differences between what the cure might be. One option is a ‘vaccine against dementia’. One wonders what quite form such a treatment will take. Having a complete genetic analysis of someone might lead to some sort of genetic therapy in a brave new world, but how would society take to something some may feel borders on ‘eugenics’? It’s well recognised that after decades of drug development none of the drugs for which NICE has issued guidance slow down progression of disease, but can help with symptoms for a few months. “Funding for dementia is much easier, when you instil fear, though I’m completely ashamed to report it” according to Romina Olivierio an independent consultant and advocate. What I feel has happened is this. During the 1890s, the Russian physiologist Ivan Pavlov was looking at salivation in dogs in response to being fed, when he noticed that his dogs would begin to salivate whenever he entered the room, even when he was not bringing them food. This is known as “conditioning”. Using words such as “horrific”, “threatening” and “horrible” with the word “dementia” persistently in the media means that whenever the word “dementia” is used people have a very negative caricature of dementia automatically. After Pavlov’s dog was conditioned to salivate at the sound of a bell, it eventually stopped salivating to the bell after the bell had been sounded repeatedly but no food came. So if we stop using such negative words around the use of the word “dementia”, the negative impact of the word “dementia” itself will dissipate. The notion of “living well with dementia” was never intended to depict a world of paradise or to airbrush any whiff of suffering with a dementia but is supposed to convey an approach where people who’ve received a diagnosis are actually helped. Another approach is that reasonable adjustments can be made for a person living with dementia, like a memory aid or adequate environmental signage, in the same way that they will be lawfully made for a person living with a physical disability. In this fight for living well with dementia, we might be able to turn a negative into a positive. My overwhelming concern is that by ‘fixating‘ on a cure for dementia, we ignore people in the present currently trying to live well with dementia.